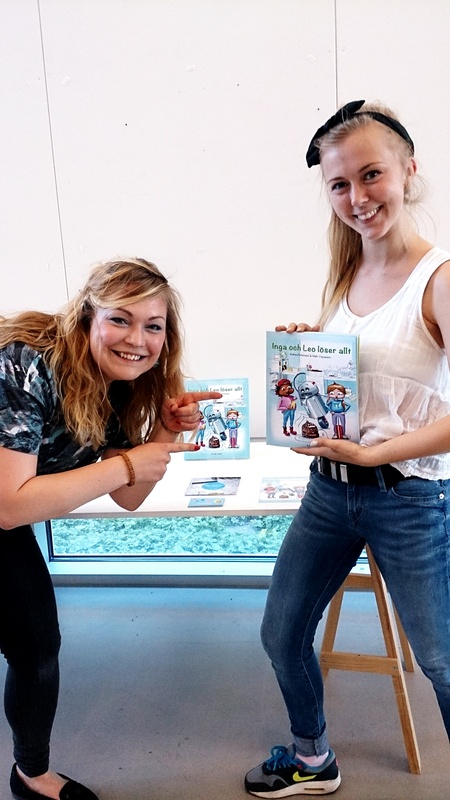 Andrea and Malin, students from the Faculty of Engineering at Lund University, wanted to inspire children to explore science, technology and innovation. The result was the children’s book Inga & Leo löser allt. Crastina got in touch with the Inga Ingenjör team: Andrea Pettersson, engineering student, and Malin Yngvesson, industrial design student, from The Faculty of Engineering, Lund University . 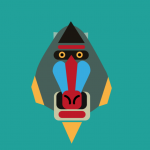 Tell us about the Inga Ingenjör project and how the idea was born! The project is about inspiring 6-9 year old kids to science, technology and innovation. Our vision is to introduce engineering as a playful concept. 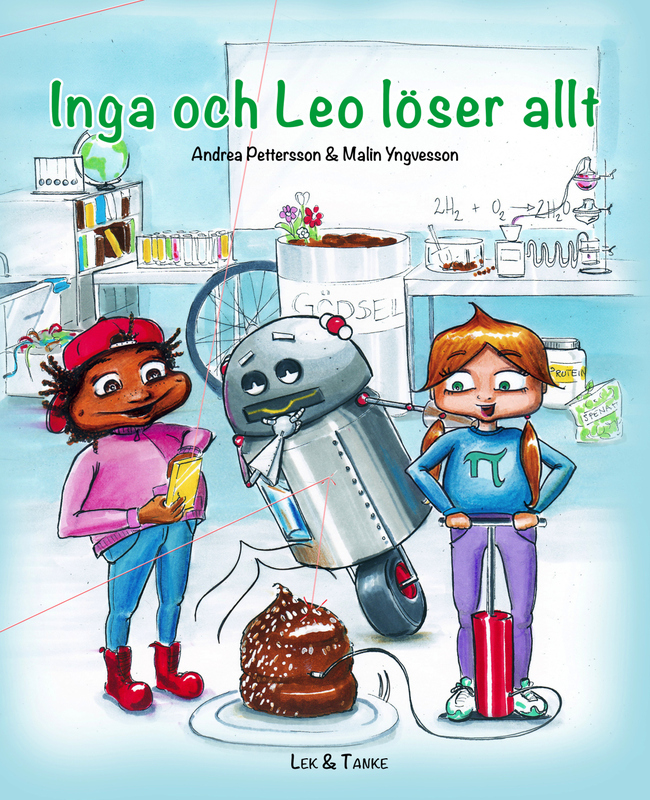 The intention of this project is to introduce the occupation engineer through a fictional children’s book about the character Inga Ingenjör (Inga Engineer). It is not a textbook but an inspirational children’s book designed to encourage children to explore their own creativity. The book is a complementary picture book which means the text and illustrations are depending on each other to tell the full story. This invites the child to follow along the pictures and thereby the story. 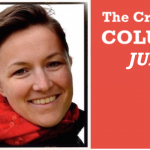 The idea was born at Vattenhallen Science center LTH, where Andrea was working with a science summer school for kids 2013. She knew Malin from before, since both were arranging the introduction weeks for new LTH students 2012. Malin was excited by the idea from the very beginning, and together they started to develop the concept Inga Ingenjör. During the project Andrea and Malin visited libraries and schools to meet kids, parents, librarians and teachers – trying out the whole idea with them. Why should your book concern the young scientist or engineer? The aim of this project is to inspire children to natural science, innovation and engineering at a young age. This to show what different possibilities the future has to offer, no matter what your social background might be. The target group is children aged 6-9. At young age, children are very inquisitive and are easily taught, what a child learns at this age lays out the fundamental conditions of its future. We hope that if you see or hear something as a kid, it gets more natural to learn more about it later. By introducing science earlier, we want more kids to enter their first science lecture with a positive feeling from the start. Give three pieces of advice to the science or tech person who wants to communicate with children! Our best advice is not to give all the answers, but to plant a willingness to solve a problem. If you can make kids interested enough, the kids will try to figure out the answer for themselves. Sometimes their ideas are even more fantastic than what you could ever think of before asking them. We also think that you can look upon the kids as a resource while teaching. They are not only open for input but also have many questions and ideas. The best chance you get to teach them something is to create an environment where they start asking. Finally, we think that you have to make things fun. That goes for any communication – be open and creative. Andrea (left) and Malin (right) can be reached through the website ingaingenjor.se (in Swedish).